Since its introduction in 1970, during a time when Zora Arkus Duntov persevered to develop a genuine “race-ready” Corvette that could be purchased from a dealership by anyone that desired to do so, the designation “ZR1” (or “ZR-1”) has represented some of the most powerful, most performance-driven Corvettes ever produced. 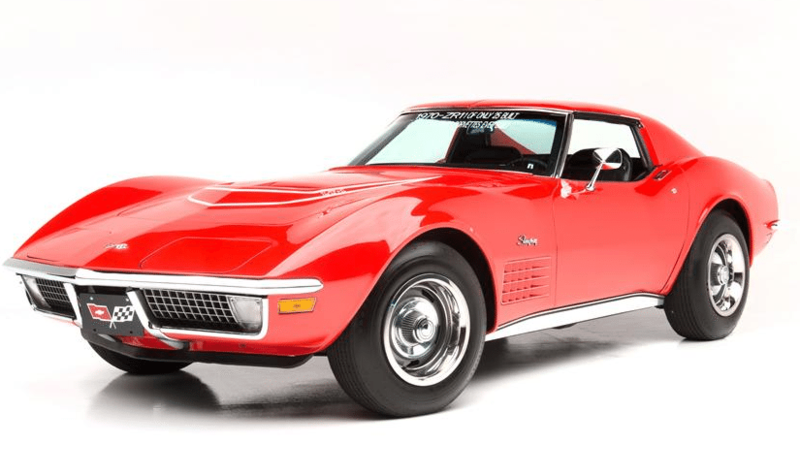 From 1970 thru 1972, the RPO ZR-1 package (designated with a hyphen at the time) featured a small block LT-1 engine, power brakes, a four-speed transmission, updated suspension (including special shocks and springs and stabilizer bar), and an aluminum radiator. During its three year production run, only fifty-three of these cars were ever produced, making them some of the most sought-after, most valuable Corvettes ever built. 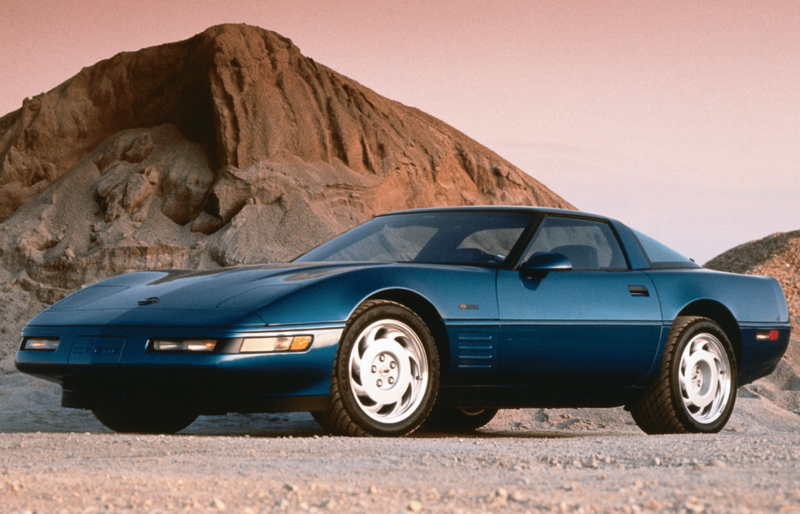 The ZR-1 returned with the 1990 Corvette lineup after an eighteen year hiatus. This time, it featured a special LT5 engine that had been developed by Lotus (which, at the time, had been a subsidiary of General Motors.) The LT5 engine featured an all-aluminum block, four overhead camshafts, and 32 valves. It also featured an air management system which enabled the car to maintain proper operation while closing off half of its fuel injection system to create improved fuel economy. The car, which looked almost the same (in most respects) to the C4 coupe and convertible from that year, was a monster beneath the hood, pushing out an impressive 375 horsepower. Still, by 1995, commercial sales of the ZR-1 had fallen off to just 448 units, and the decision was made to discontinue production, despite the robust power and performance that this second ZR-1 had produced. Although it would be another fourteen years before the ZR1 mantle would make its return to the Corvette lineup, its return would bring with it a car that was unprecedented by anything that had come before it. In 2009, after several years of rumors, mis-information, and intense speculation, Chevrolet unveiled their most powerful Corvette to date – the 2009 ZR1 Coupe. 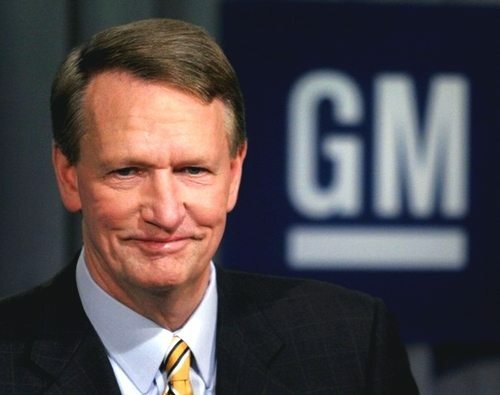 GM’s then-CEO and Duke University alum Rick Wagoner. The announcement of the new ZR1 was made early in 2008 that the new ZR1 would be available as part of the Corvette lineup during the 2009 model year. Even early on in its pre-production development, the claims boasted that the car would be the costliest, most power production Corvette of all-time. Still, when the announcement was made officially, most Corvette enthusiasts were not taken by surprise, having followed the rumors and speculations that had been circulating for nearly two-years prior as project “Blue Devil,” a nod to GM’s then-CEO and Duke University alum Rick Wagoner. “Chevrolet’s goal with the new ZR1 is to show what an American supercar can deliver,” said Ed Peper, General Manager of Chevrolet, “at a price that trumps exotics that cost two, three, or four times as much – and does so with exceptional drivability.” They succeeded. DID YOU KNOW: On the ZR1, the roof panel, roof bow, lower rocker moldings, front splitter and the underside of the hood feature exposed-weave carbon-fiber. The other carbon-fiber parts of the ZR1 include the front fenders and hood. The front fascia, doors, rear fenders and rear fascia are made of various other composite materials and all are painted body-color. The carbon-fiber panels contribute to the car’s visual identity – particularly the exposed-weave panels – but they also serve an important purpose: They save weight. 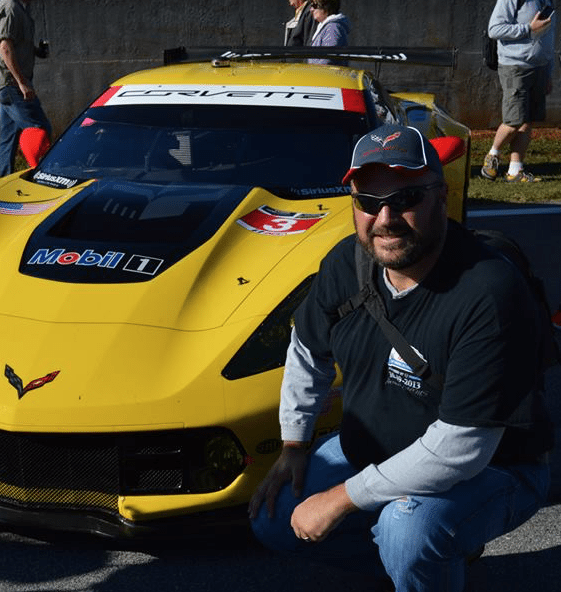 The carbon-fiber roof panel and roof bow, for example, weigh about 7.7 pounds (3.5 kg) less than the already lightweight composite panels on the Corvette Z06. The 2009 ZR1 Corvette was immediately recognizable to consumers, despite borrowing similar design cues from its Z06 counterpart. Perhaps the most distinguishable feature of the new ZR1 was the introduction of a raised, all-carbon-fiber hood that also featured a clear, polycarbonate window. This window provided a view of the top of the engine’s intercooler, with the legend “LS9 SUPERCHARGED” embossed on the left and right sides, along with a view of the engine cover which featured the Corvette crossed flags logo debossed on the front. The underside of the hood featured a visible carbon-fiber-weave. Visible carbon-fiber was also used on the roof, roof bow, rocker molding and front splitter. All of these exterior components were protected by a specially developed glossy, UV-resistant clear coat that resisted yellowing and war. Moving beyond the hood, the 2009 ZR1 also featured widened, carbon-fiber front fenders with functional twin air-ducts, a full-width, body-color rear spoiler incorporating a center high-mounted stop lamp and four center-mounted exhaust pipes. All of the exterior features were developed to enhance high-speed stability and driver control. In addition to the exterior cues listed above, the ZR1 models were also distinguished from other Corvette models by their VIN (Vehicle Identification Number). 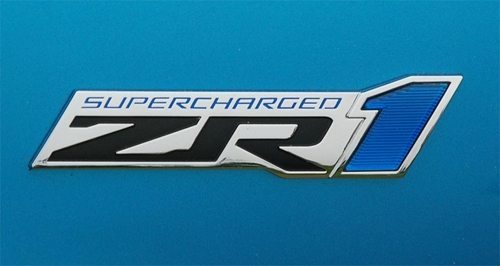 Each 2009 ZR1 included a unique, identifying VIN digit, as well as a sequential building number. This made it easy to determine the build number of a specific car. 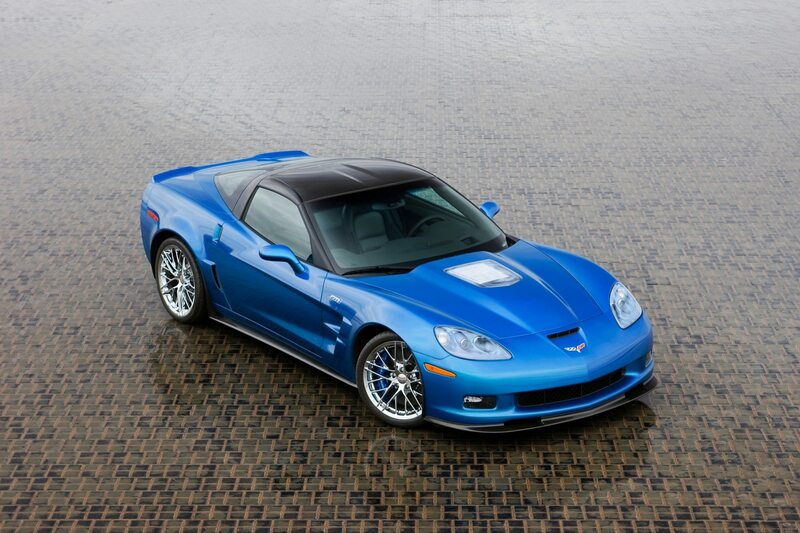 For example, a ZR1 with a VIN ending in “0150” would indicate it was the 150th ZR1 built during the model year. While the exterior refinements of the ZR1 were robust, the interior distinctions were much more limited, leaving some critics to complain about the overwhelming lack of difference between the ZR1’s interior compared to any other Corvette from the 2009 model year. That’s not to say that the interior was lacking in quality. In fact, the ZR1’s interior design built on the Corvette brand’s dual-cockpit heritage, with high-quality materials, craftsmanship, and functionality that supported the premium-quality experience promised by the car’s unparalleled performance. And to be sure, the interior cockpit/cabin of the 2009 ZR1 Corvette did differ some enhancements from the cockpit of the base coupe and Z06 models. 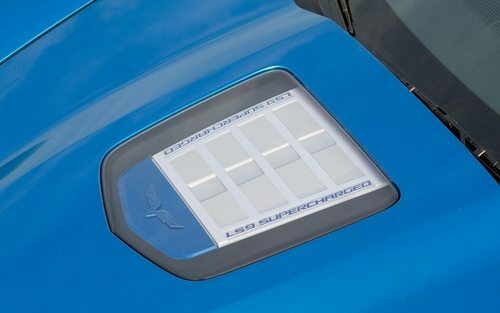 Some of these differences included the introduction of ZR1-logo sill plates, ZR1-logo headrest embroidery, a unique gauge cluster that featured the “ZR1” logo on the tachometer and a 220 mph (370km/h) readout on the speedometer, a heads-up display (HUD), and a boost gauge to show the level of boost being generated by the car’s supercharger. Like the base level coupe, convertible and Z06 models, the 2009 ZR1 also featured two available convenience packages which offered consumers additional accoutrements. The first, RPO 1ZR (considered the “standard ZR1 package”) featured a bundled package of lightweight options similar to those offered in the Z06, including lightweight seats. The second, RPO 3ZR (considered the “uplevel interior package”) included power-adjustable, heated and leather-trimmed sports seats (embroidered with the ZR1 logo), side air bags, a Bose premium audio system, a navigation system, Bluetooth connectivity, a power telescoping steering system, a custom, leather-wrapped interior (available in four colors) and more. While the 3ZR package did offer a number of improved-upon amenities over the 1ZR package, it also came at an additional cost of $10,000 over the base asking price of the ZR1 coupe. At its core, the 2009 ZR1 Corvette featured an all-new LS9 supercharged 6.2 Litre V-8 engine rated at 638 horsepower (476 kW), and approximately 604 lb./ft. (819Nm) of torque. The immense power output of this impressive engine came from the addition of a large, positive-displacement Eaton TVS R2300 4-lobe supercharger with intercoolers from Behr, utilizing an air-to-water, dual-brick design. 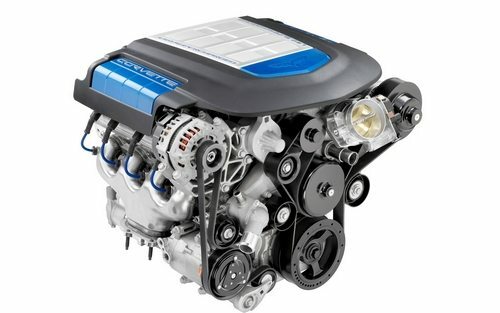 The supercharger worked in conjunction with the LS9 engine to produce substantial power and torque at lower RPM, while also pushing enough air to help the engine maintain power through the upper levels of the RPM band (6,600 rpm in the case of the ZR1) – the area where supercharged performance tends to diminish. To avoid changes to the appearance of the car’s hood, the supercharger’s output was split into two halves. Each cylinder bank was equipped with an intercooler in addition to the supercharger. 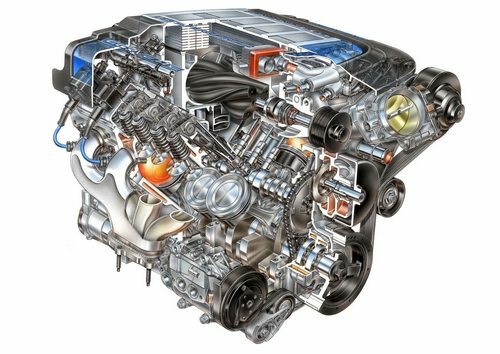 Additionally, the LS9 was also equipped with an integrated charge cooling system that reduced inlet air temperatures for maximum performance. 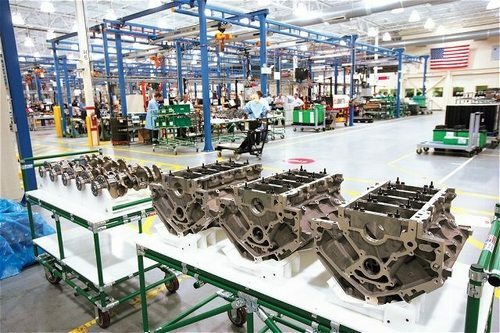 The LS9 engine was hand-assembled at GM’s Performance Build Center, in Wixom, Michigan. The manufacturing of this engine incorporated specialty processes typically seen in the development of racing engines when developing a highly refined and precise product. For example, cast iron cylinder liners were inserted in the aluminum block and were finish-bored and honed with a deck plate installed. The deck plate simulated the presume and minute dimensional variances applied to the engine block when the cylinder heads are installed, which ensured a higher degree of accuracy which, in turn, promoted the maximum cylinder head sealing, piston ring fit and overall engine performance. The LS9 engine was mated to an upgraded, stronger six-speed manual transmission fitted with a twin-disc clutch that provided exceptional clamping power, while maintaining an easy, very-manageable clutch pedal for the driver. The transmissions installed in the 2009 ZR1 featured specific gearing which included a steep first-gear ratio to aid in launching the car off the line and a sixth-gear that actually helped the ZR1 achieve top-speed, a notable change over the fifth-gear top-speed run-outs found in the manual-transmission of base model Corvettes as well as the Corvette Z06. The twin-disc clutch system employs a pair of discs which spread out the engine’s torque load over a wider area. This enables tremendous clamping power when the clutch is engaged. It also helped with the dissipation of heat, which in turn helped to extend the life of the clutch. The twin-disc clutch system also contributed to the ZR1’s exceptional driving quality, which featured smooth and easy shifting between gears. 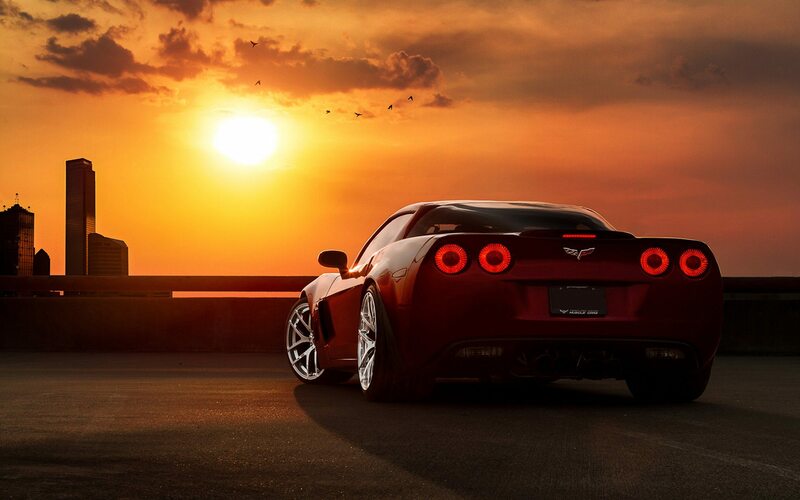 The twin-disc system design allowed for higher torque capacity with inertia and pedal effort similar to that found in the Z06. It also enabled a 25-percent reduction in inertia, thanks to smaller, 260-mm plates. By comparison, the 2009 Z06 utilized a 290-mm single-disc system. Rounding out the drivetrain is the ZR1’s rear axle. Just as the engine and transmission were more robust on the ZR1, so too was the rear axle, which featured asymmetrical axle-shaft diameters that were developed after careful testing to provide optimal torque management. The axles were also mounted on a more horizontal plate which correlates with the wider width of the rear wheels and tires found on the ZR1. The ZR1 was built on the same aluminum-intensive chassis as the sixth-generation Z06 Corvette, and featured a similar independent SLA front and rear suspension systems, including aluminum upper and lower control arms. However, the ZR1 differed from the Z06 in its suspension tuning, which was optimized for the car’s extra-wide front and rear tires. Magnetic Selective Ride Control came standard, and included a specialized tuning specific to the ZR1 platform. From a high-performance perspective, the Magnetic Selective Ride Control helps the rear axle remain planted during launch for smooth, hop-free acceleration. It also helps suppress axle movement when cornering on broken or uneven pavement. The ability of the Magnetic Selective Ride Control system to deliver a compliant ride with nearly instantaneous damping adjustments enabled engineers to develop a surprisingly supple ride quality while still delivering corner grip in excess of 1g. To help bridle the power generated by the LS9 engine and the car’s robust drivertrain, the ZR1 was fitted with an equally impressive braking system. The 2009 ZR1 Corvette came equipped (standard) with Brembo carbon-ceramic brake rotors, the same type of brakes used on exotics and ultra-expensive supercars. With the Brembo system, the brake rotors are manufactured out of a carbon-fiber-reinforced ceramic silicon carbide material. 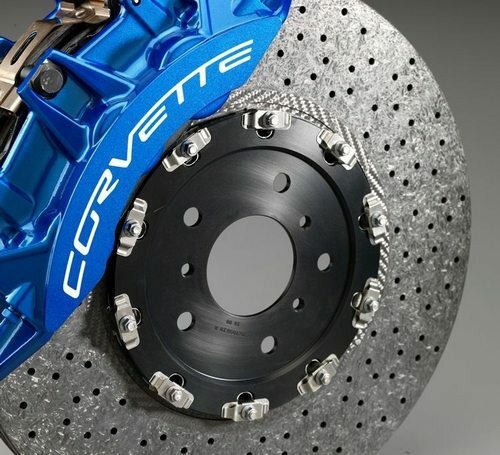 The vented and cross-drilled rotors on the ZR1 measure 15.5 inches (394 mm) in diameter in the front and 15 inches (380 mm) in diameter in the rear, making them among the largest carbon-ceramic rotors available on any production vehicle. These brake rotors are lightweight (low mass) and have an incredibly high resistance to wear and heat. In fact, the Brembo brake rotors should never show any signs of corrosion. Further, if used only during normal driving conditions (non-competitive/non-race driving), they should outlast the life of the vehicle! The Brembo brake rotors are paired with high-performance calipers designed for the ZR1. To provide ultra-powerful braking performance in the front, the ZR1 comes equipped standard with six-piston front calipers, along with front pads that are equivalent in size to the largest brake linings on any production car with a single-pad design – double the size of the Z06’s 70-sq.-cm. front brake pads. The rear brakes feature a somewhat smaller, but equally robust, four-piston caliper system. All of the calipers are painted an exclusive “ZR1 blue” which helps this already-impressive braking hardware stand out even more. 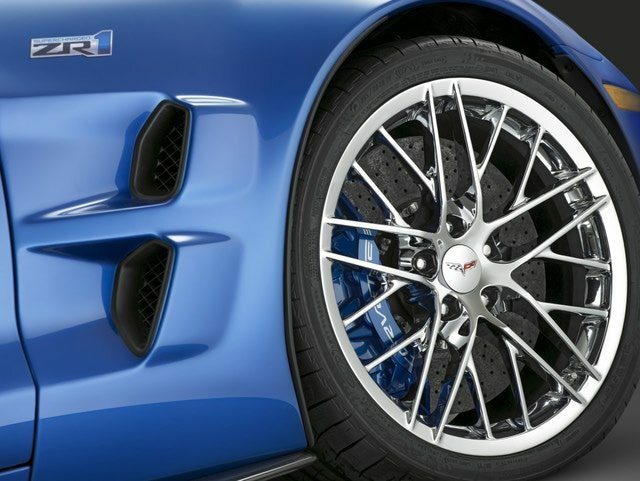 The ZR1’s brakes are visible through the ZR1’s exclusive, 20-spoke alloy rims. The rims measure 19 inches in diameter up front and 20 inches in the rear. They came from the factory with a Sterling Silver paint finish (standard), and an optional chrome version was also offered to consumers. These massive wheels were mated to Michelin Pilot Sport 2 tires which had been developed specifically for the ZR1, measuring P285/30ZR19 in front and P335/25ZR20 in the rear. 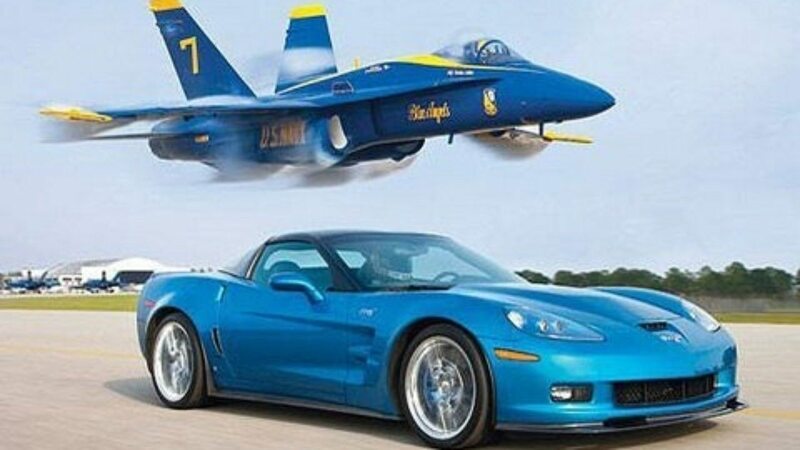 In July 2009, the ZR1 “Blue Devil” raced one of the Blue Angels as part of a performance demonstration sponsored by Motor Trend. 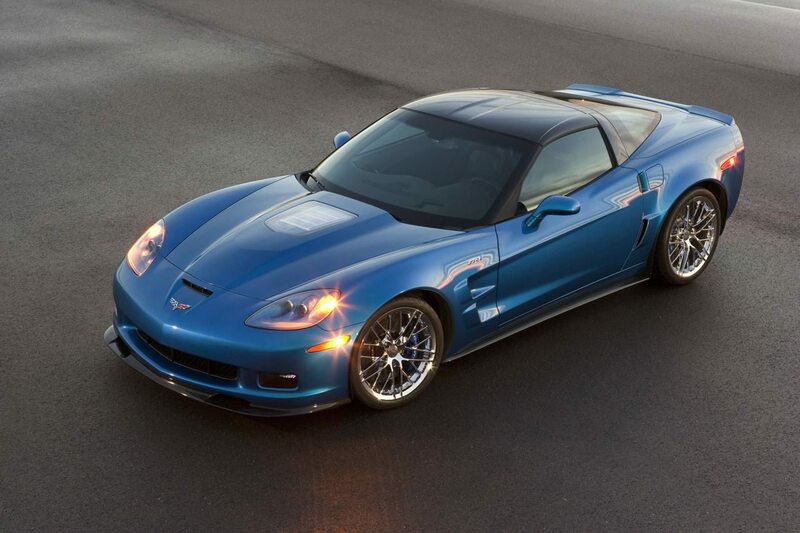 Motor Trend also featured some staggering statistics for the 2009 ZR1 Corvette. The car, when tested by their drivers, recorded a staggering 0-60 mph time of just 3.3 seconds, an 11.2-second quarter-mile at 130.5 miles per hour, and a skidpad of 1.10g. These numbers, while impressive, were not enough to sway many consumers, who were still feeling cautious about spending money after feeling the pinch of a damaging recession, to go out and purchase such an expensive vehicle. While Chevrolet committed to producing 2000 ZR1 units annually, the ZR1’s inaugural year saw the production of only 1,415 units. 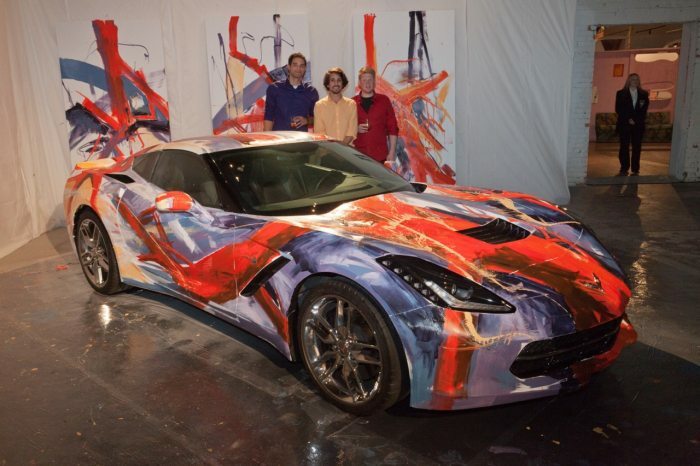 Corvette Black Book – Copyright 2014, Michael Bruce Associates, Inc.